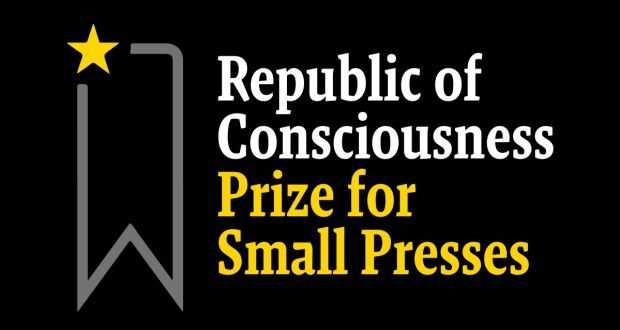 Last night the winners of The Republic of Consciousness Prize for Small Presses were announced, with this year’s announcement signalling a re-structuring of the award to honour more than one writer and literary work. The prize, started in 2017, aims to promote the work of publishers with fewer than five members of staff. It holds a number of influential new publishers in its previous winner’s roster, among them Fitzcarraldo Editions and Influx Press. It was set up by Neil Griffiths, David Collard, Catherine Taylor, and the novelist Niven Govinde — along with a student panel from the University of East Anglia Writing Programme. Last night (28th March) it was announced that there are two winners of the prize this year, Murmur by Will Eaves (CB Editions) and Lucia by Alex Phelby (Galley Beggar Press). Murmur and Lucia have both been awarded £3500, split between the press (£2500) and the author (£1000). By announcing two winners for the prize, Republic of Consciousness are aiming to dismantle the traditional prize hierarchy, which validities the idea of the ‘best books’, something which appears at odds with literature itself. In doing so, the focus of the prize has shifted from that of competition, to a celebration of independent publishing, helping to provide a platform for exciting new work. The shortlist will also be awarded £1500 each, split between the press (£1000) and the author (£500). 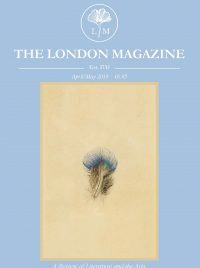 The prize-pot money has been provided by The University of East Anglia, and the Times Literary Supplement, alongside crowdfunding through private donors. The organisation of the prize is funded in large part by a grant from Arts Council England. Games have winners; competitions have winners. Prizes for the arts are a celebration of the best work within a certain time frame. The ‘winner’ bit is about creating an event horizon, providing easy digestible copy. Everyone knows when it comes to art picking a winner is a nonsense. If the short list is strong enough, there will be strong arguments for each of them to be the winner. From this year onwards the judges of the Republic of Consciousness Prize for Small Presses will be instructed to select the winning book(s) on the criteria that book x or y cannot not win. Yes, it’s a double negative, but a minus plus a minus is a positive. This is what we did in the first year. We had an outright winner because it was loved most. But we gave 3 other awards because these books were loved enough to win. Then, in year 2 we followed advice and followed convention. I would have had two winners last year. And I’m pleased to say we have two this year. If we raise more money next year, there could be more: it may be that a single book wins, it may be that four do. We want to get to a place where we don’t have to choose between books that we can’t choose between. What I really want is that we don’t have winners at all, but a celebration of the best work of small presses. However, I’m not foolish enough to think a short list will work on its own. But it shouldn’t be case of one winner or no winner, and falling into making false choices. Giving three writers an award might be split the pecuniary upside by three, but it triples the good feeling.